A distinguished scholar in the field of language acquisition and children's discourse. Founder and leader of the Warsaw school of developmental psycholinguistics. Grace Wales Shugar was born on May 10, 1918 in Montreal, Canada. She obtained a Bachelor of Arts, High School Teaching Diploma from McGill University in Montreal. In 1939-1941 she worked as director for training at the International Ladies' Garment Workers' Union and was secretary of the Workers' Educational Association in Montreal and Toronto. She then got a full-time job as a social worker-in-training at the Protestant Children's Homes, Family Workers' Association. In 1945/46 she worked as an unskilled laborer in electronics factories, and was employed in preschool education in Ottawa in 1946-1948. In 1949-1952 Grace, her husband David (a famous biophysicist of international renown, whom she married in 1943) and their daughter Barbara (born in 1947) lived in France for a time, and then in Belgium. In Paris, Grace attended a psychology course at the Sorbonne as an auditing student, while her activities in Brussels included teaching at a children's home (Les Cailloux). The Shugars arrived in Poland in 1952. Professor David Shugar1 had been invited to conduct research in Warsaw by Professor Leopold Infeld, an outstanding theoretical physicist and at the time a member of the Presidium of the newly formed Polish Academy of Sciences. In 1952-1957 Grace worked as an editor for Polish Radio. As of 1957, she began specializing in foreign language teaching for children and young adults, teaching English in high schools and at the Lingwista Foreign Language Teachers' Cooperative. 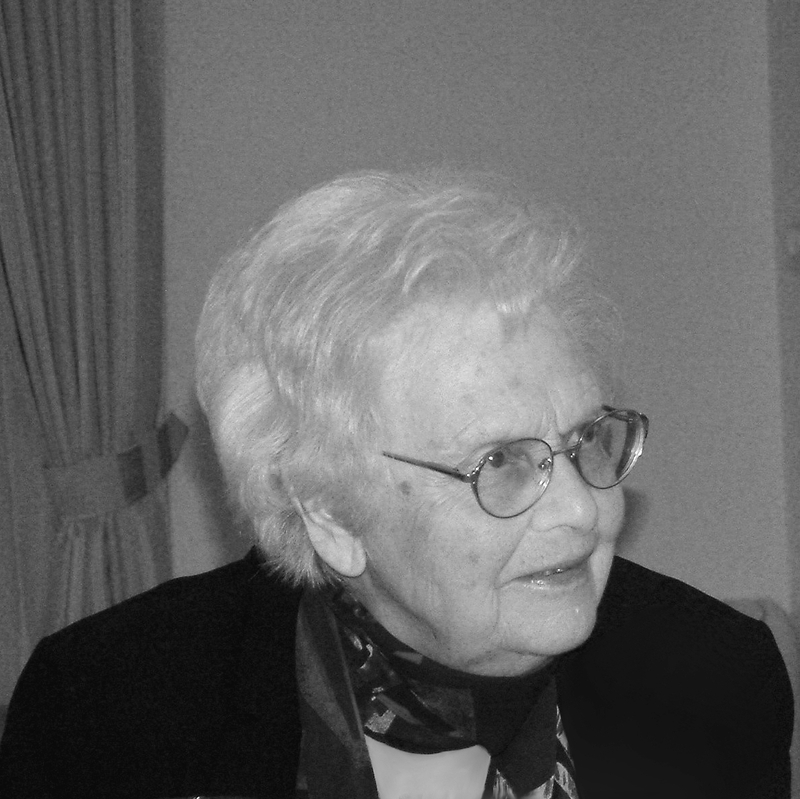 In 1964 she extramurally completed her degree at the University of Warsaw, defending her master's thesis (written under the guidance of Professor Wincenty Okoń) on "Comparative studies of foreign language learning in two different children's age groups in terms of range, pace and methods of learning" at the University of Warsaw's Institute of Pedagogy. In 1964 the Shugars were hit by a terrible tragedy when their beloved only daughter Barbara died of cancer at the age of 17. As of 1966, Grace worked as a researcher and teacher at the University of Warsaw. Her first paper (co-author: Z. Babska), "Formy badań określone jako eksperyment naturalny" ("Research forms described as a natural experiment") was published in Psychologia Wychowawcza (Educational Psychology - the most renowned Polish psychological journal at the time). Grace initially taught seminars at the University of Warsaw's School of Foreign Languages, then in 1972-1975 she conducted seminars at the Institute of Applied Linguistics, also collaborating with the Institute of Psychology from 1973, and then worked at the University of Warsaw's Faculty of Psychology. Her doctoral dissertation on "Relations of language structure and activity structure in the early developmental period" was supervised by Professor Mariusz Maruszewski, the author of Language Communication and Brain. A Neuropsychological Study (1975). Completed in 1973, it was the first dissertation on developmental psycholinguistics at the University of Warsaw. In 1975 Psychologia Wychowawcza published another paper by Grace Wales Shugar. "Konstruowanie tekstu w ramach epizodów werbalnych jako forma aktywności językowej dziecka we wczesnym okresie nabywania języka" (Text-constructing through verbal episodes as a form of children's language activity during early language acquisition) was based on the results of her PhD. It became her most widely read text and the one most frequently quoted by her collaborators and students (an expanded English version was published in 2005). The discussion surrounding its ideas provided valuable stimulation to students of the Institute of Psychology at the Faculty of Psychology and Pedagogy, and later students of the Faculty of Psychology at the University of Warsaw, interested in the development of the linguistic activity of children as active agents and co-authors of texts. Grace conducted non-compulsory seminars for third-year students of psychology in 1974/75 and 1975/76, and seminars leading up to a master's degree in the years that followed. The paper from 1975 presenting her empirical research and Grace's subsequent texts aroused such interest in psychological circles that more and more students attended her master's degree seminars. The research projects in developmental psycholinguistics that Grace oversaw kept gaining significance. They were carried out at the Department of Psycholinguistics of the University of Warsaw's Institute (and later Faculty) of Psychology headed by Ida Kurcz - the initiator of psycholinguistic studies in Poland. In 1979 at the Faculty of Psychology (University of Warsaw), Grace presented a dissertation for which she was awarded a postdoctoral academic degree (habilitacja, the equivalent of DSc). The topic was "Child language acquisition as a process. Theoretical aspects and some research." The dissertation presented the unique character of research on developmental psycholinguistics at the Warsaw center, focused on exploring the functional aspect of children's use of language in the context of social interactions. It included the important concept of action and topical discourse in the development of children's speech, based on the analysis of the reference situation, identical with the situation of action (in action discourse) and different from the situation of action (in topical discourse). This unique character of the Warsaw school of developmental psycholinguistics created by Grace Wales Shugar became evident when a collection of the most significant texts in world psycholinguistics was translated into Polish. This volume, Badania nad rozwojem języka dziecka (Studies on Child Language Development), was published in 1980 by PWN. The book's editors were Grace Wales Shugar and Magdalena Smoczyńska (from the Cracow psycholinguistics center at Jagiellonian University, headed by Professor Maria Przetacznik-Gierowska). The editors also wrote the introduction to the book and a commentary. In 1982 Grace published the monograph Interakcja, koordynacja linii działania i funkcjonowanie językowe (Interaction, Action Line Coordination and Functional Language; Wrocław: Ossolineum), based on a Warsaw research project in which social interactions in child-child and child-adult dyads were filmed. The adult participant playing with the children was graduate student Jolanta Zamęcka (at present employed at the Holocaust Museum in New York). In the same year, 1982, Grace supervised her first doctoral dissertation, that of Barbara Bokus. This dissertation, on the initiation of social interactions by preschool children, was published in 1984 as a monograph entitled Nawiązywanie interakcji społecznych przez małe dziecko (Initiation of Social Interactions by Small Children; Wrocław: Ossolineum). In 1985 Grace was awarded the title of Professor of the Humanities on the basis of her monograph Interakcja, koordynacja linii działania i funkcjonowanie językowe (1982) as well as texts written in connection with this monograph on participation structures for and by children. In 1986 North Holland publishing house in Amsterdam published Knowledge and Language, a book of which Grace was one of the editors (I. Kurcz, G. W. Shugar, & J. Danks, Eds.). The book was the outcome of an international conference on this subject held in Warsaw/Jachranka in 1984. It was organized by the Department of Psycholinguistics of the Faculty of Psychology, under the supervision of Ida Kurcz. In 1986-1987 Ossolineum published two volumes in Polish comprising selected lectures delivered during this conference. The second volume, Język dziecka (Child Language) was co-edited by Kurcz, Shugar, and Bokus. In recognition of Grace's outstanding international academic achievements (she gave lectures at many universities in different countries), she was invited to deliver a plenary lecture at the 4th International Congress for the Study of Child Language in Lund (Sweden) in 1987. The Congress was organized under the auspices of the International Association for the Study of Child Language (IASCL)2. The subject of the lecture was "The nature of peer discourse: Participant structures for and by children." The text was later published in the book Children's Creative Communication (1988, Lund: Lund University Press) edited by Ragnhild Söderbergh. The ideas Grace presented at the Lund Congress were exemplified through analyses of child-adult discourse in the monograph by Shugar and Bokus Twórczość językowa dziecka w sytuacji zabawowo-zadaniowej (Child Language Creativity Studied in Play Task Situations; 1988, Wrocław: Ossolineum). At that time, the Team for Research on Child Cognitive-Linguistic Processes, headed by Grace, was already working at the Department of Psycholinguistics of the Faculty of Psychology at the University of Warsaw. Research papers produced by the team members were published in different resources, including the series Język - Poznanie - Komunikacja (Language - Cognition - Communication; published by Energeia from 1991, by Matrix from 2002, and now by Lexem). Numerous reports by the team's researchers were included in the volume Z badań nad kompetencją komunikacyjną dzieci (From Studies on Children's Communicative Competence; ed. by Barbara Bokus and Maciej Haman, 1992; see the chapters by Grace Wales Shugar, Jolanta Zamęcka, Krystyna Gepner-Więcko, Małgorzata Dąbrowska, Grażyna Kmita, Elżbieta Pożarowska, Jolanta Rytel, Ewa Słonczewska, and Barbara Bokus). Grace retired in 1992 but continued her research work. In 1995 she published a monograph entitled Dyskurs dziecięcy. Rozwój w ramach struktur społecznych (Child Discourse. Development in the Framework of Social Structures). This book (in the series Język - Poznanie - Komunikacja, volume 6) presents the author's theoretical and methodological approaches in her research on child discourse as well as the most essential results of her (and her collaborators') studies on various forms of discourse involving children: action discourse based on the coordination of action lines; topical discourse with different sources of the discourse topics (written in collaboration with Kmita) and the situationally conditioned choices of content known/unknown to the listener (written in collaboration with Bokus). The reviewers of Dyskurs dziecięcy. Rozwój w ramach struktur społecznych included leading experts on child development issues Zofia Babska and Hanna Olechnowicz, and the book was highly praised in Polish psychological circles as well as winning the prestigious Tadeusz Tomaszewski Prize in 1996. - "The structure of peer participation in shared activity. Framework for acquiring communicative knowledge," in: J. Nadel and L. Camaioni (Eds. ), New Perspectives in Early Communicative Development (1993, London: Routledge). In 1998 Grace delivered the opening lecture, "Entry into narration: Uses of operations of reference," at the International Conference on Children's Discourse from a Narrative Perspective organized by the Psycholinguistic Laboratory of the Faculty of Psychology at the University of Warsaw. The text was published in Psychology of Language and Communication in 1998. It was also published in Polish as the chapter "U progu narracji: Rola operacji odniesienia" in Psychologiczne studia nad językiem i dyskursem (Psychological Studies on Language and Discourse; ed. by Ida Kurcz and Jerzy Bobryk, Warszawa, Wydawnictwo Instytutu Psychologii PAN, 2001). Grace was the English Language Editor of the journal Psychology of Language and Communication from its foundation in 1997 and her commitment and editorial experience was invaluable. Up to 2000 she also contributed to the Polish Psychological Bulletin as its English Language Editor. In 2007, more than a quarter of a century since the publication of Badania nad rozwojem języka dziecka (1980) - the volume of psycholinguistics texts from around the world edited by Shugar and Smoczyńska, a similar volume edited by Bokus and Shugar and entitled Psychologia języka dziecka. Osiągnięcia, nowe perspektywy (Psychology of Child Language. Achievements and New Prospects) was published by Gdańskie Wydawnictwo Psychologiczne as a continuation of the 1980 edition. In 2005 the volume Studies in the Psychology of Child Language was prepared in honor of Professor Grace Wales Shugar to celebrate the 30th anniversary of the publication of her noteworthy research paper on children's construction of texts within verbal episodes in Psychologia Wychowawcza. Through the texts featured in that book, members (former and present) of the Department of Psycholinguistics of the Faculty of Psychology at the University of Warsaw expressed their gratitude to Grace for her inspiring research on the development of child language and her contribution to Polish and world psycholinguistics. They shared their joy and gratitude with psycholinguists from other centers in Poland as well as in Europe and the United States. On August 19, 2013 in the early morning hours, Grace passed away in her sleep. With Professor Grace Wales Shugar's passing we have lost a distinguished scholar in the field of language acquisition and children's discourse, the founder and leader of the Warsaw school of developmental psycholinguistics. Her passing will be felt as a deep loss to psychology and psycholinguistics, not only in Poland but in the entire scientific community of child language research. Our journal Psychology of Language and Communication has lost an eminent member of its Editorial Board. We have lost a scholar with a brilliant mind, and a person of generous heart and great kindness. Her charming smile sweetened various tough moments in many of our lives. I have lost my Great Mentor, Teacher, and Friend. 1. Professor David Shugar is a member of the Royal Society of Canada and the Polish Academy of Sciences, and holds honorary doctorates from the University of Warsaw and the University of Ghent (Belgium). 2. At the 2nd International Congress of the IASCL (Vancouver, Canada) Grace was elected a member of the Executive Committee of the International Association for the Study of Child Language, a post she held for nine years. She was also an active member of the International Society of Applied Psycholinguistics and the International Pragmatics Association.